ONLINE REGISTRATION IS NOW CLOSED. THERE IS NO EVENT DAY REGISTRATION. PLEASE JOIN US NEXT TIME. COURSE: The 50K and 15K trail courses are on rustic trails ranging from jeep roads to single track through a beautiful state forest and state park. There are numerous scenic spots and vistas throughout the course. All are good tests for the serious trail runner and hiker. The 15K is on less challenging trails which participants may walk or run at their desired pace. Participants must be 16 or older to do the 50K. Professional timing for both events by Pretzel City Sports. If a participant does not meet the Check Point cut-off times, he/she will be asked to drop out. Trail maps and Check Point locations are available on the event website. CHECK POINTS (CPs): Snacks such as granola bars, trail mix, pretzels, peanut butter and jelly sandwiches, energy gels or similar products, oranges, and bananas. Refreshments are water and an energy beverage. Basic first aid will be available. Each CP is staffed with volunteers and 2 radio communicators. Emergency Medical Support is on standby in case of injury or other complication. WATER STATIONS include water, an energy drink, first-aid, and will be staffed. ENTRY FEES: Registration is online only at www.ironmasterschallenge.com. All entries received online by March 1st will receive short sleeve tech shirt in the size ordered. Afterward, including day of race, shirts will be distributed while supplies last. To ensure adequate supplies on the course, registration before race day is encouraged. The entry fee covers breakfast of bagels, muffins, yogurt, fruit, juice and coffee; snacks and drinks at each Check Point; a full smorgasbord of hot and cold dishes at a finish-line picnic with free beer from Roy Pitz Brewing Company, ice tea or lemonade, a goodie bag, a tech t-shirt, and a finisher’s premium for the 50K Ultra only. 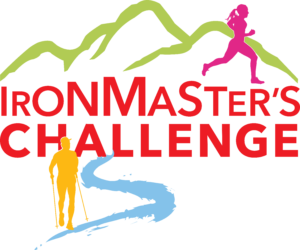 The income from the Ironmaster’s Challenge event supports the programs and operations of the Central Pennsylvania Conservancy, the local land trust for the Central PA region and the renovators and caretakers of the Ironmaster’s Mansion. Please register early to ensure your spot in this popular event! There is a limit of 600 registered participants due to limited parking; no waitlist. Please check website before race day for a post about event-day registration. Events held rain or shine. We reserve the right to delay starting time and cutoff time in case of mega-bad weather. No refunds. No mailing of shirt or awards. FINISH LINE PICNIC AT IRONMASTER’S MANSION and AWARDS CEREMONY: Begins at 11:00 am and runs until 5:30 pm. An awards ceremony will be held at 12:00 pm for 15K and another at 2:00 pm for 50K and other winners who finished after the earlier ceremony. VOLUNTEERS: We welcome friends and family members of race participants to volunteer for the event while cheering on your favorite participant! Please sign-up online by filling out a volunteer form on the www.ironmasterschallenge.com website (https://ironmasterschallenge.com/?page_id=183). The race coordinator will be in touch to schedule your volunteer shift. Or, call 717-241-4360 or email ayelk@centralpaconservancy.org. Please no smoking and no pets on the trail, at the checkpoints, and at the Ironmaster’s Mansion.